Jemand erklärt mir, Quantenmechanik ist der Beweis dafür: alles ist Bewusstsein, und ich spontanentlade im Google+-Feed von Jutta Ahrens. Ich glaube, manche verwechseln rekursive Interaktion mit Nichtexistenz, weil sie sie gedanklich irgendwie wieder in die lineare Kausalität aufklappen. 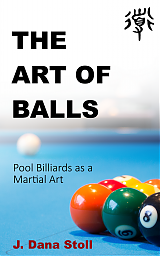 Due to popular demand I’ve compiled all tetxts of the old TheArtOfBalls.com website into one single document and added it to the Art of Balls section on gwenstoll.com. Due to heavy time constraints, I decided to publish it on the site as is, instead of never getting around to doing so.